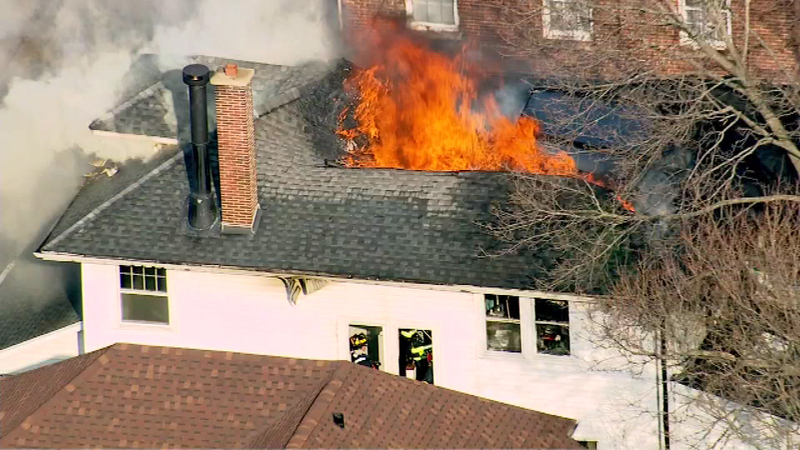 EVANSTON -- Firefighters battled a raging house fire in north suburban Evanston Friday evening. Flames could be seen shooting from the roof of the two-story, single family home in the 2800-block of Harrison Street. Fire companies from eight surrounding departments responded to assist in putting out the blaze, which was put under control about 5:40 p.m. Friday evening. The homeowners were not home at the time of the fire and will be displaced due to fire damage. Firefighters battled a large house fire in Evanston in the 2800-block of Harrison Street.